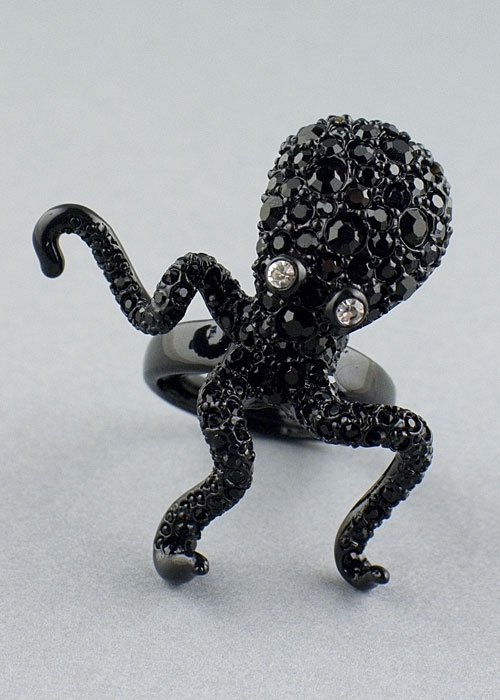 Large black octopus ring by Kenneth Jay Lane. This striking designer ring features a 42mmx40 mm black octopus covered with black swarovski crystals. Ring comes in one size with adjustable springs to customize size.